2. View their Booking summary. 5. 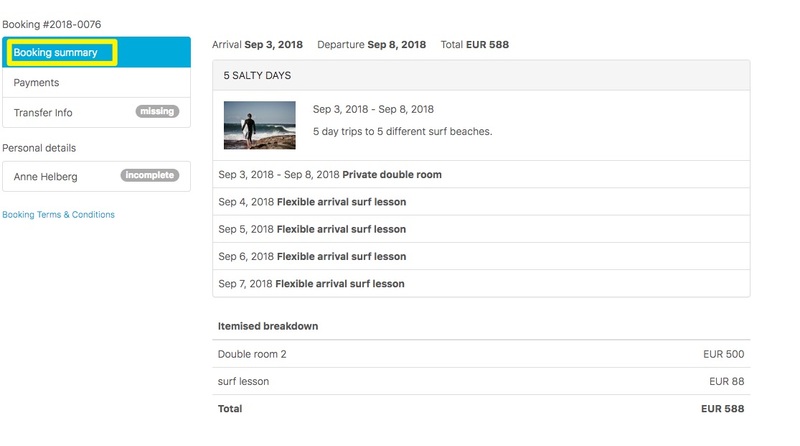 Enter guest's personal details (In case the booking has multiple guests, the customer can fill out details for each one of the guests in that same booking). 6. View the Booking terms & Conditions. 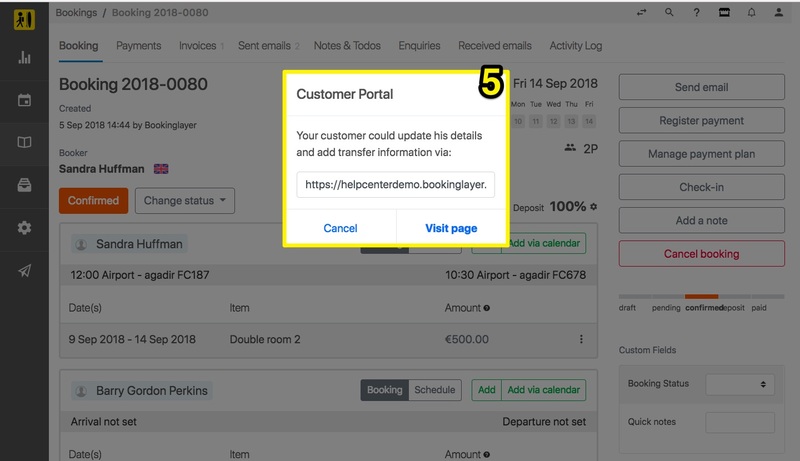 If a booking has been created by a Bookinglayer user in the Backoffice, it can be set to Pending and the Customer Portal URL can be sent to the client in order to confirm the booking. 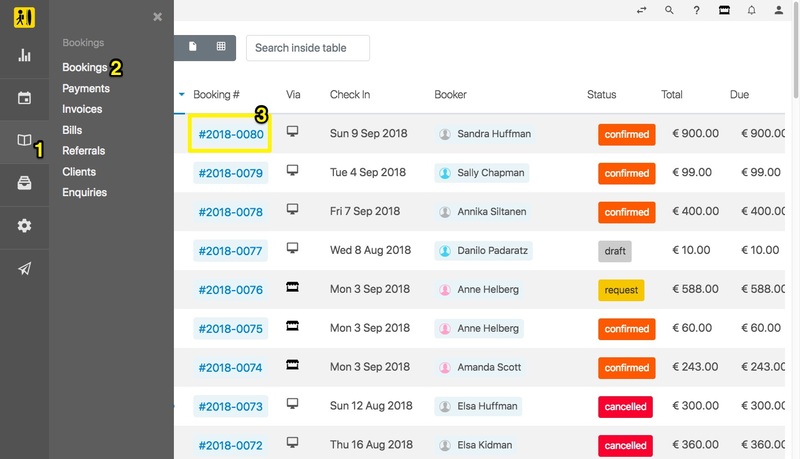 Once the client confirms the booking, the booking status will automatically be updated in the Backoffice to Confirmed. 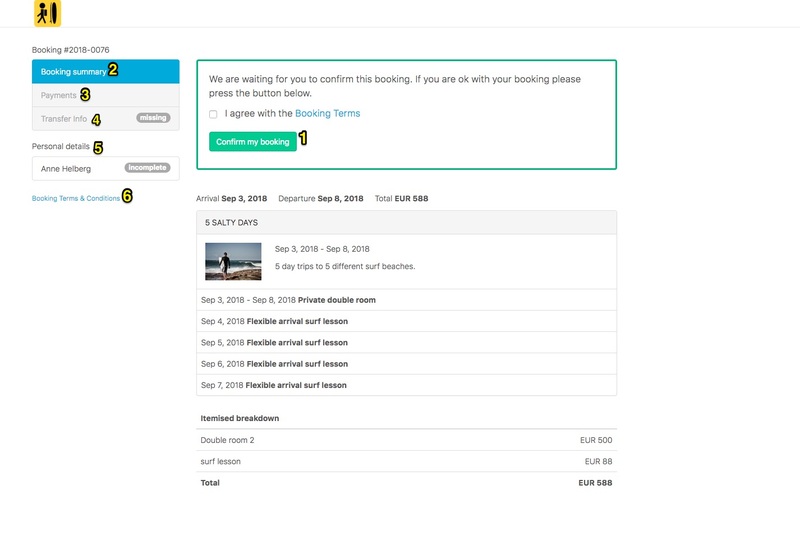 If you have set Booking Terms the customer will need to accept them in order to confirm the booking. 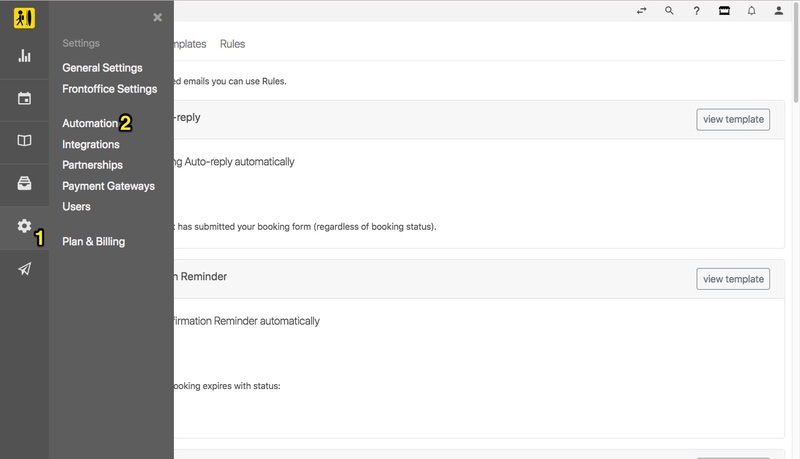 The Booking Summary gives an overview of your customer's booking information. This includes arrival and departure dates, booked accommodations for each guest, and any extra booked activities for each guest. Payments - In this section, your customer can pay their balance online through any of the payment methods that you have set in your Settings. 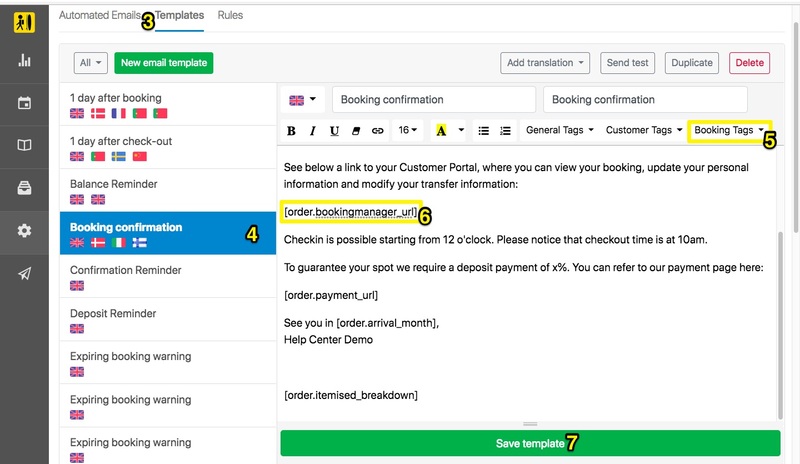 If the booking has already been paid for, a payment summary will be displayed. Arrival Info - A customer can select their arrival time and location, and add any relevant information such as flight numbers or delays. The drop down selection for arrival location will display each 'Transfer Location' that you have set in your Settings. You can read more about Transfers and Transfer Locations in this article. Personal Details - Here your customer can update their personal details. 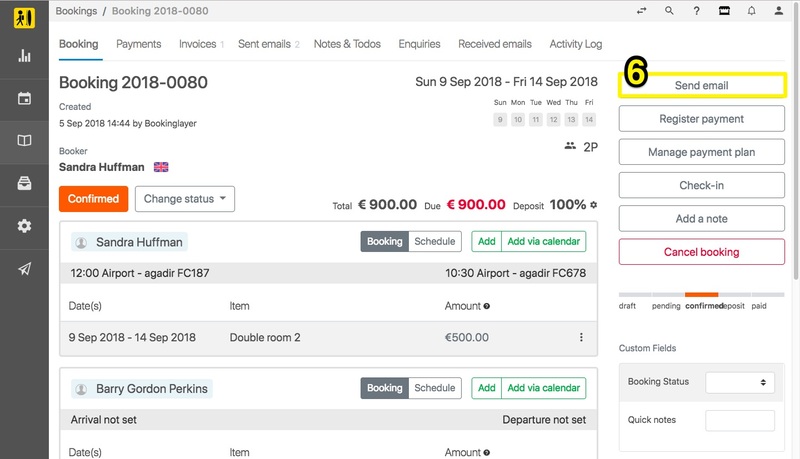 This information will automatically sync with the guest's profile in your Backoffice, and any other relevant sections such as dietary lists. 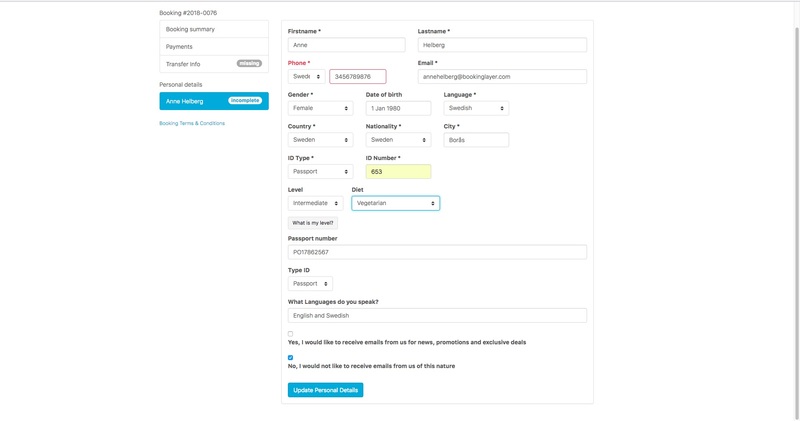 There are two ways to send the Customer Portal to your customers. It can be done by copying and pasting the URL, or by using the Customer Portal URL tag in your email templates. We will show you how can you do it in both ways. 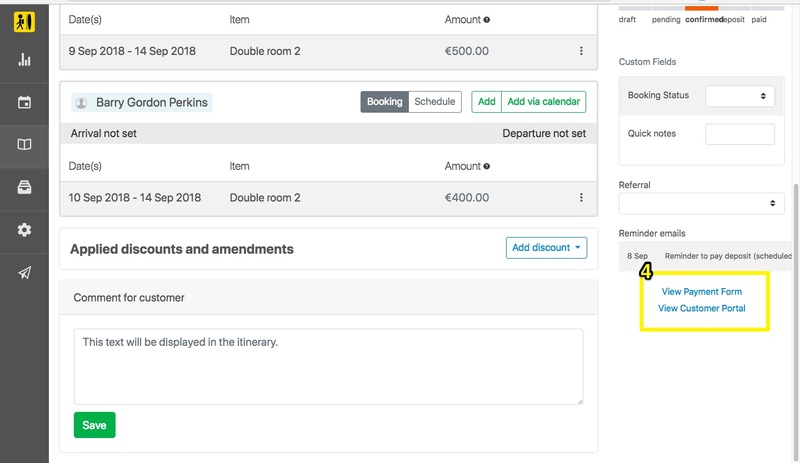 There is more than one way to open a booking - in this example we are accessing the booking through the Bookings Module. 4. With the booking page open, access the Customer Portal URL by clicking on the link View Customer Portal. 5. Copy the Customer Portal URL that appears in the pop-up box. 6. On the booking page, click on Send Email and paste this URL to send to your customer. 1. Click on Settings on the left side menu. 4. Select one of the email templates or create a new one. 6. Add the Customer Portal URL to your email body.